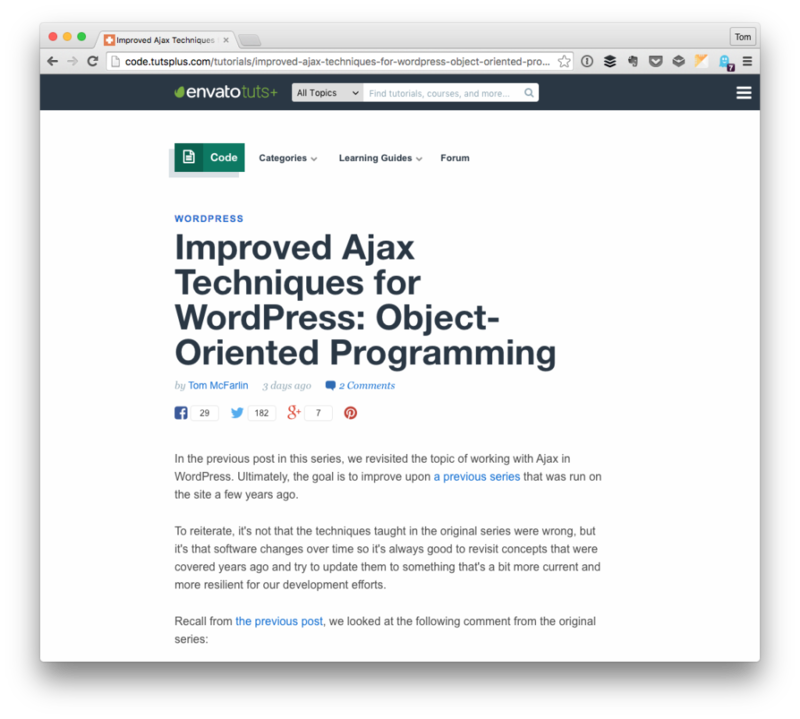 A couple of weeks ago, I shared a post on Improved Ajax in WordPress. It provides a link to a tutorial that I wrote for Envato that shows how to incorporate Ajax into your WordPress project using procedural programming. But not everyone who write solutions on WordPress uses procedural programming. 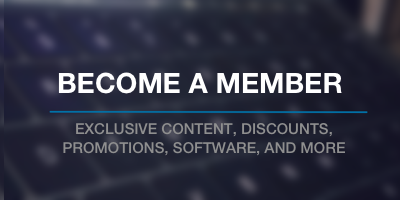 Or you may prefer to write code using object-oriented techniques. Whatever the case, including Ajax in WordPress is not limited to procedural programming. To follow-up, I also wrote how to do the same thing in object-oriented programming. Though the actual functionality of the plugin mimics it’s procedural counter part, the approach is different. The tutorial has all the code that goes into the plugin. This includes comments for what each class, function, and attribute is doing. Furthermore, it explains the logic behind each class’ design and why the decisions were made. Comments on this post are closed. If you'd like to comment, then please see the original post.